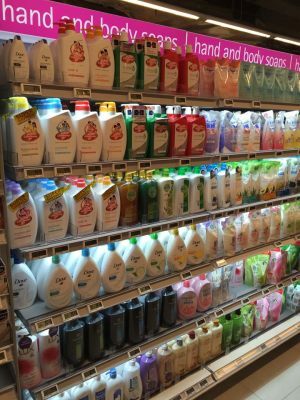 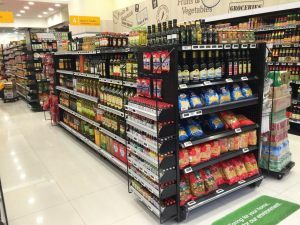 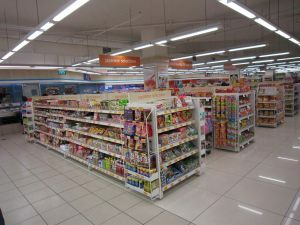 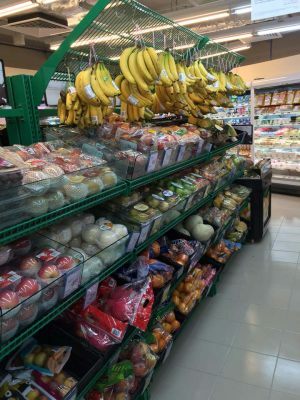 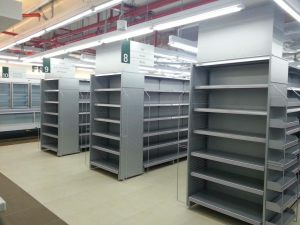 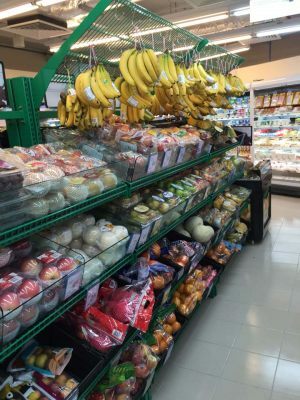 Supermarkets, hypermarts and superstores tend to have massive shelving. 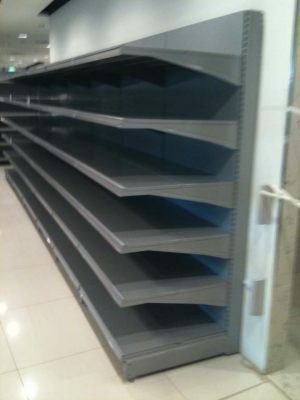 Hence, the shelf structure must be strong for safety reasons. 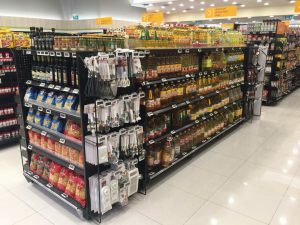 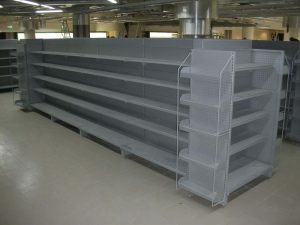 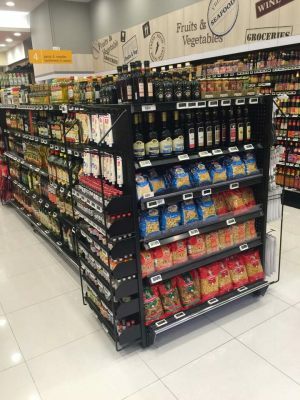 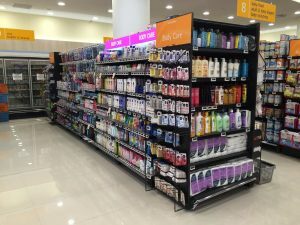 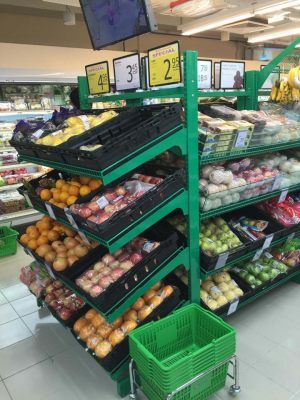 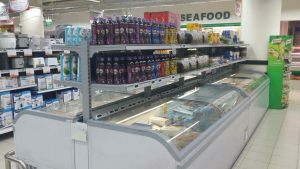 Austinco's gondola shelving are reinforced for stability and durability, and are suitable for retail stores. 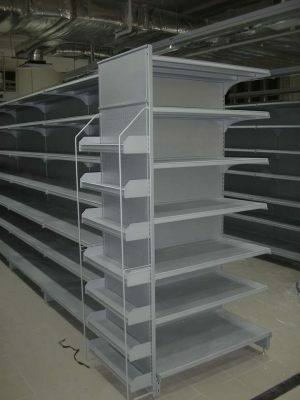 Austinco specialises in heavy-duty gondola shelving. 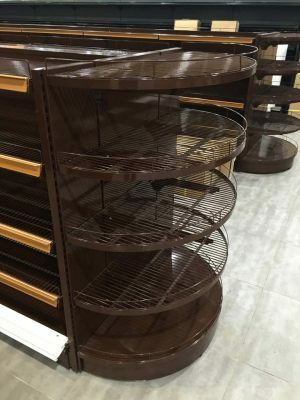 Our gondola shelving are designed for ultra stability and they must undergo stringent load tests in our factory before we would consider shipping them to your store. 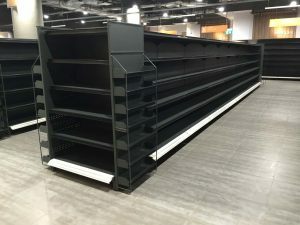 Thus, supermarkets, hypermarts and superstores can fully load up Austinco's gondola shelving without any worry. 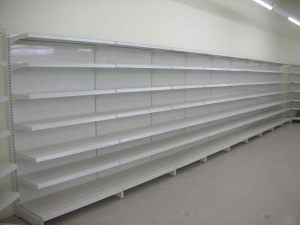 Contact Austinco to find out more about heavy-duty shelving. 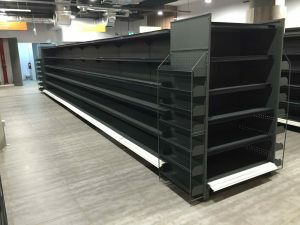 Great stability. 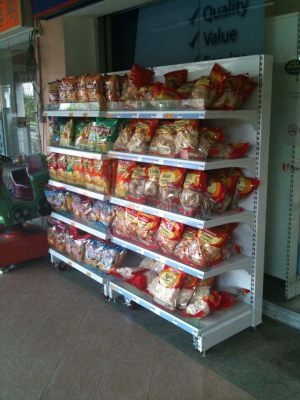 Durable even under full load. 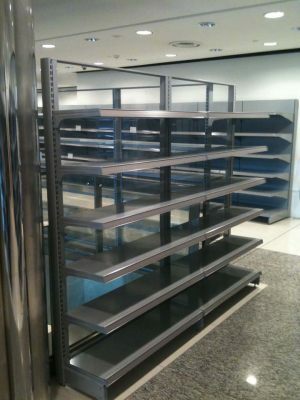 Surface is treated with tough paint coating to withstand rough handling. 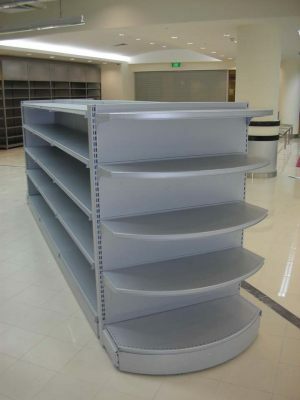 Constructed from high-grade steel and materials. 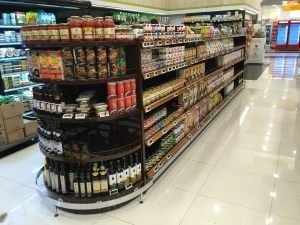 Gondola is stable for use as a stand-alone (island) shelving. 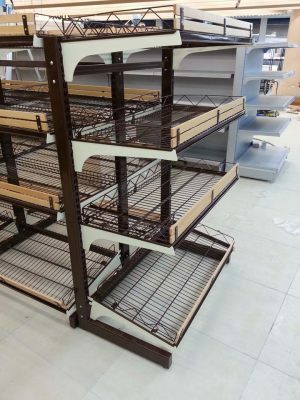 Additional racks and shelves can be attached at both ends of the gondola. 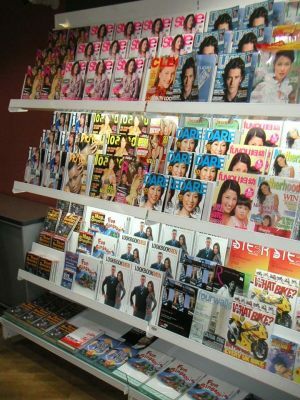 Gondola can be decorated for marketing purposes. 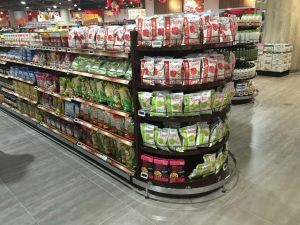 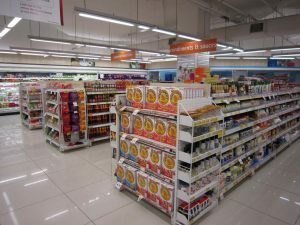 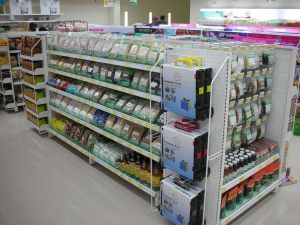 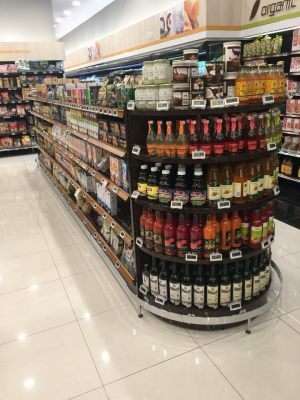 Lighting can be installed underneath each shelf to enhance product display. 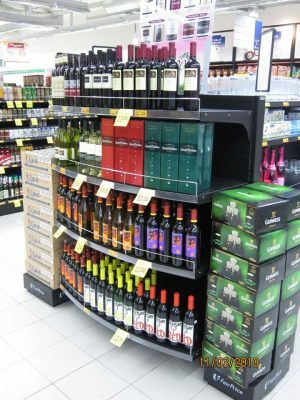 Gondola is suitable for wine and bottled beverages. 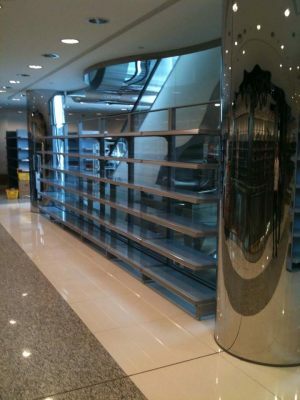 Main configurations available: Wall Gondola, Island Gondola, End Gondola. 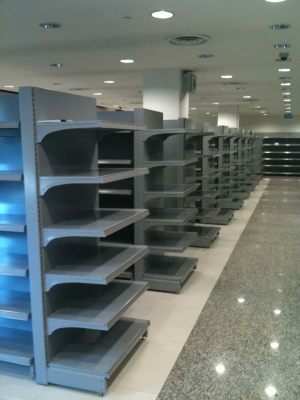 For further details, please refer to the PDF technical drawing below.